These are something I whipped up for in the cafe, they are healthy, filling and for me they make a great little grab and go breaky. Also I discovered a while ago that our TLC Mix makes the perfect egg replacement so these little beauties are also Vegan. You can use the basic recipe with different fruits and milk, but so far these are my favourite. I cup of fresh or frozen raspberries or berries of choice. organic shredded coconut for decoration. Get your muffin papers/tins ready. Place the TLC mix into a bowl with the water and stir to combine, leave to set. Sift the quinoa flour, coconut flour and bi-carb soda into a large bowl and stir in the coconut sugar. Mix the milk, coconut oil and the TLC concoction together and pour into the flour and stir to lightly to combine. The mixture should be quite wet, so if you need to, add a little more milk or water, then spoon or pour into the muffin papers adding even amounts of raspberries to each muffin as you go. 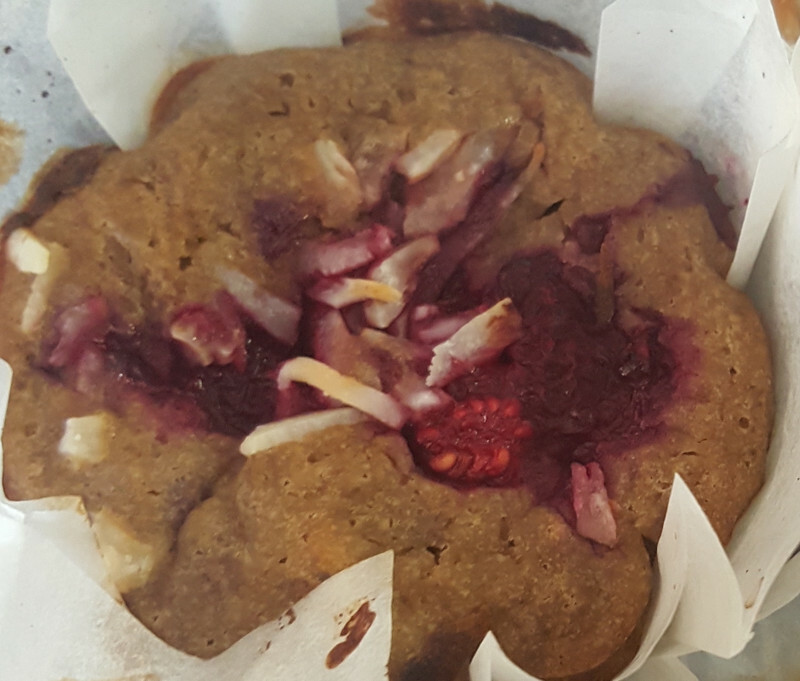 Note: you can add the raspberries to the mixture just after the wet ingredients but I like to do it this way so each muffin has the same amount of fruit in it. I learnt this lesson when the girls were little and would fight over who got the most fruit or chocolate in their muffin. Top with a sprinkle of shredded coconut and bake for 15 to 20 mins until firm. Delicious while warm with a dollop of coconut cream.